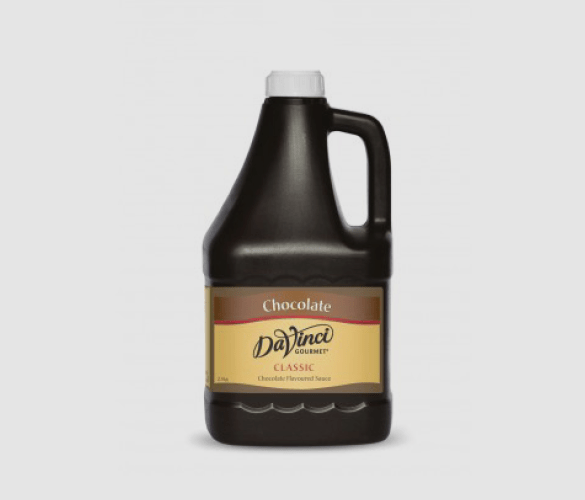 This rich chocolate sauce is the ultimate luxury that will add a delicious sweetness to any recipe. Being one of the most popular flavours, this sauce is sure to please. Share with friends or indulge by yourself, any way you choose will be a treat. This creamy sauce can be added to so many different food and drink recipes. Experience a true chocolate flavour with the perfect balance of sweetness. With only the highest quality ingredients being used, you can rely on this product to create a gourmet taste every time. The possibilities are endless when it comes to creating recipes with this decadent sauce. Add a little or lot to customise the intensity of flavour in your dish. Extend your menu and give your customers so many new options by adding this product. The richness pairs perfectly with an indulgent hot drink, or add a touch of refreshing sweetness to an iced beverage. How Can I Use This Milk Chocolate Sauce? Coffee – Add a splash into your coffee to create the perfect mocha. This is so easy but makes such a difference. Frappes – This sauce works just as well in cold drinks as it does in hot. Next time you are making a frappe add a little and we’re certain you won’t regret it! Ice Cream – Liven up your boring bowl of vanilla ice cream by drizzling this all over. It is such a simple way to make ice cream even tastier. Hot Chocolate – Have you ever had a chocolate that tasted more watery than chocolatey? Mix in some of this sauce to really ramp up the richness. Chocolate Chilli – Add a little to your chilli con carne to give it a whole new level of richness. Marinade – Mix a little into your meat marina to give a honeyed-sweetness. Barbecue Sauce – This creates an irresistible smoky, sweet and spicy flavour, perfect for dipping or glazing. Popcorn – Coat your popcorn in chocolate for that perfect salty/sweet combination. Vinaigrette – Add a little sauce to your balsamic vinaigrette for a subtle sweet taste. Porridge – This can be a little boring at the best of times, but this sauce is guaranteed to liven up your breakfast.